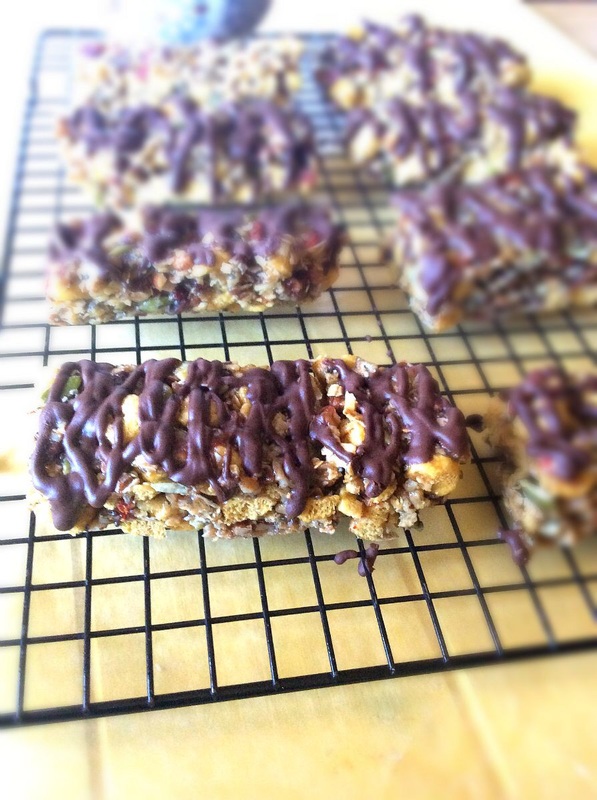 Are you sick of granola bar recipes that result in crumbly, dry bars or mushy oat piles? Then you NEED this recipe! It makes perfectly textured bars. The best thing about the recipe is how versatile it is. 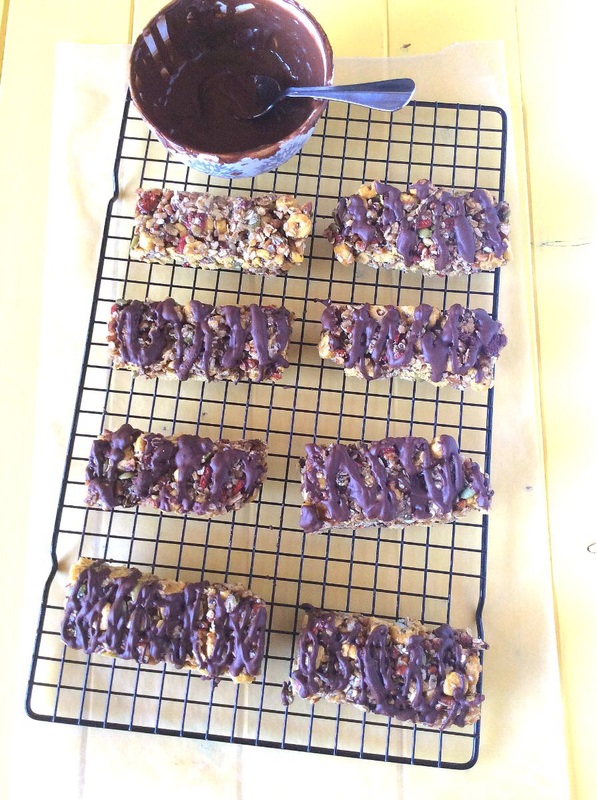 The bars can be made with any kind of nuts, seeds, cereal, and dried fruit combination you can dream up! The brown rice syrup tastes great and is a better binder for bars than honey. I found it in Hy-vee’s Health Market, but otherwise it tends to be in health food stores. 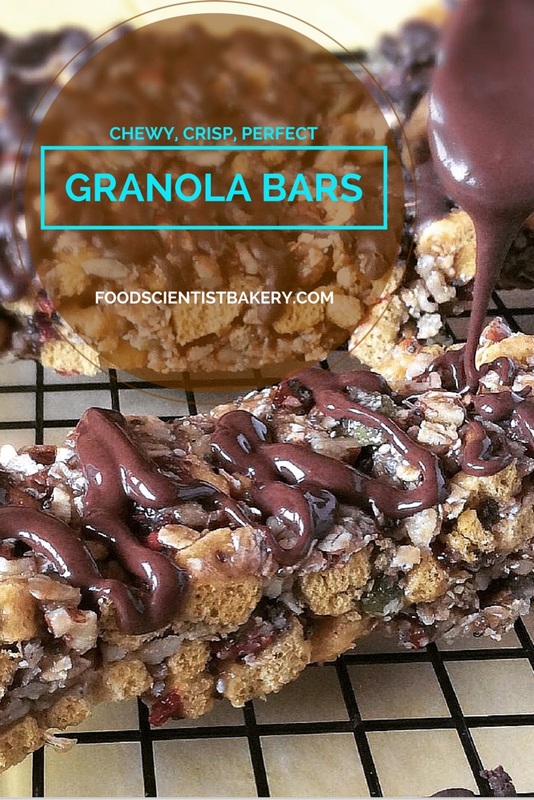 It’s worth hunting down though, because it doesn’t take much of it to make some chewy granola bars that stick together well. This was actually the first recipe I ever put on this blog, but the pictures were horrible, so I re-did the entire post. Enjoy! Mix first 6 ingredients in bowl. Heat sugar, brown rice syrup and butter on stovetop until melted and thickened, about 5 minutes. Add to dry ingredients and stir well. Line baking pan (8×8 for thick bars, 9×13 for thin ones) with parchment paper. Spread cereal mixture into pan, pressing firmly to compress. Let set for about 2 hours. Lift the set mixture out of pan and cut into bars. Drizzle with chocolate if desired (strongly recommended! ).